December 18, 2018 — NEW YORK–(BUSINESS WIRE)– E*TRADE Financial Corporation (NASDAQ:ETFC) today announced the launch of the E*TRADE Advisor Network, a national referral program that connects beyond the scope of E*TRADE’s in-house offerings. Advisors who participate in the program benefit from a close-knit relationship with E*TRADE national and local branches as well as access to investors who desire holistic wealth management solutions. Included as charter national members in the Advisor Network are Edelman Financial Engines and Mercer Advisors. E*TRADE serves roughly 4.9 million brokerage accounts and 1.7 million stock plan accounts over the phone, online, and in-person at two national branches and 30 E*TRADE branches across the United States. 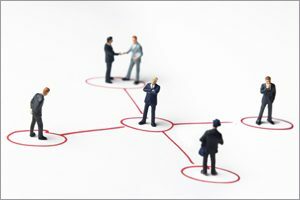 The referral network launches amid a number of additional enhancements rolled out by TCA by E*TRADE, a provider of integrated technology, custody, and practice management support. Most recently, TCA by E*TRADE nearly doubled the funds available in its ETF Custody Advantage program and added four third-party money managers to its Money Manager X-Change program. These enhancements enable advisors to help clients pursue their financial goals by providing even more investment choices. Since last October, TCA by E*TRADE has secured more than $12 billion in commitments to its RIA platform and has added more than $2 billion in net assets under custody. E*TRADE Financial and its subsidiaries provide financial services including brokerage and banking products and services to retail customers. Securities products and services are offered by E*TRADE Securities LLC (Member FINRA/SIPC). Commodity futures and options on futures products and services are offered by E*TRADE Futures LLC (Member NFA). Managed Account Solutions are offered through E*TRADE Capital Management, LLC, a Registered Investment Adviser. Bank products and services are offered by E*TRADE Bank, and RIA custody solutions are offered by E*TRADE Savings Bank doing business as “TCA by E*TRADE,” both of which are national federal savings banks (Members FDIC). More information is available at www.etrade.com. Referrals to advisors in the E*TRADE Advisor Network are made by E*TRADE Securities. Advisors participating in the E*TRADE Advisor Network are not affiliated with E*TRADE. E*TRADE Securities prescreens advisors for the network against certain criteria. However, E*TRADE does not supervise advisors or their participation in the network and services vary by advisor. An advisor’s participation in the network is not an endorsement or opinion as to the quality of the advisor or its services. Minimum asset level required for referral. E*TRADE Securities is paid by the advisor for referrals.